Allsop Residential’s November auction saw a success rate of 71% with a total raised of £62m, but this figure is expected to increase as further deals are done and lots continue to sell following the auction. The auction continued the recent trend for higher value properties going under the hammer, with 25 lots in the catalogue with a guide price of at least £1 million. The biggest sale of the day was a freehold seven bedroom mansion house in Winchmore Hill, London N21, which sold for £4.21 million, while a freehold block in Bournemouth comprising three shops, twelve flats and a house sold for £1.9 million. 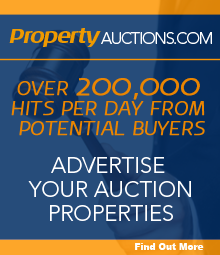 Partner and Auctioneer Richard Adamson commented: “The general mood in the auction room was one of positivity underpinned by sensible caution. There is still concern from buyers and sellers due to the political uncertainty, but there was clearly an attitude of ‘back to business’. As a result, there was an inevitable flight to quality, as buyers honed in on good quality and reliable income producing investments, due to the poor returns being offered in other investment sectors. “In particular, lots guided over £1m performed very well, especially given the fact that most buyers are incurring much higher purchase costs than they were a year or so ago. This indicates that, albeit reluctantly, the market has absorbed and adjusted to the SDLT surcharge. With the value of the pound decreasing in the run-up to the auction, there was strong competition from overseas investors, while the auction also highlighted the popularity of development sites. A cleared freehold site in Chalk Farm, London NW5 with planning permission for nine residential units, raised £3.31 million and a freehold site in Cirencester with planning permission for seven houses sold for £800,000. Entries are now being taken for Allsop Residential’s next auction, which will take place at the Cumberland Hotel, Great Cumberland Place, London W1 on 15 December 2016. The list will close on 18 November.